Sachsenhausen concentration camp (Sachsenhausen-Oranienburg) is a former German concentration camp in Oranienburg, a town about 35 km north of Berlin. It was created by the Nazis in 1936 and used mainly for political prisoners, including PoWs, Communists, homosexuals, Jews, and Jehovah's Witnesses. Although not originally intended as an extermination camp (Jewish prisoners were generally transferred to Auschwitz for that purpose), many executions took place there and a gas chamber was eventually installed to facilitate mass killings. In 1945 it was taken over by the occupying Soviets for use as an "NKVD special camp" until its closure in 1950. 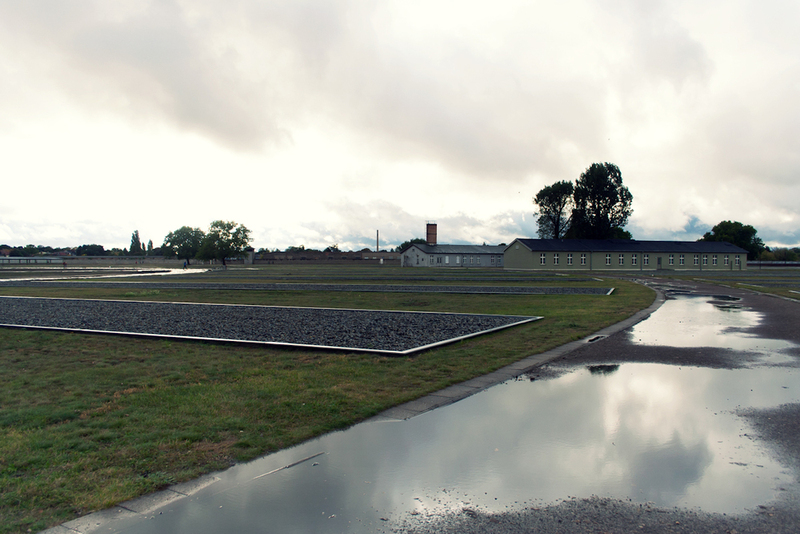 Due to disease, exhaustions, malnutrition, and executions, 30 000 prisoners died under the Nazis and 12 000 perished under the Soviets at Sachsenhausen. 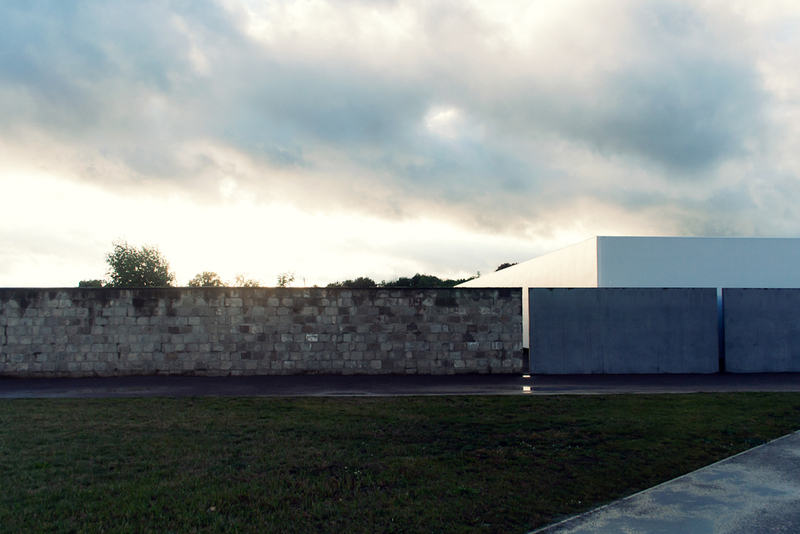 The site is now a memorial and museum. 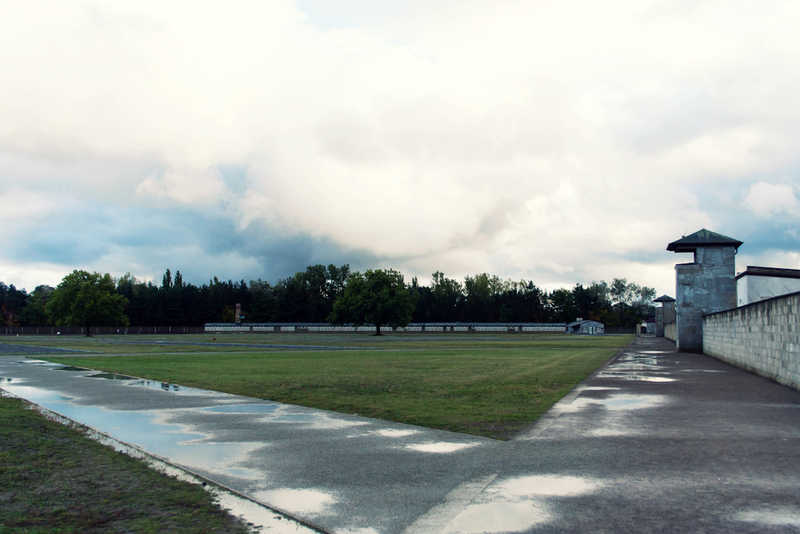 We visited Sachsenhausen this past October on a day that started out in an appropriately rainy fashion then gradually turned beautiful as the late afternoon sun came out from behind the clouds.